While Mila is out playing, she meets a strange but beautiful girl named Agnes who believes ghosts live in her teeth. As they spend more time together, Mila realizes Agnes is far from a normal girl as otherworldly forces spill into Mila's life. This is what I was expecting from Likely Stories; a trippy, thrilling, scary, bloody, fantastic fantasy story that's beautiful to look at. The art takes some getting used to but if you can appreciate the likes of Roman Dirge or Dave McKean, this will be a treat to read through. 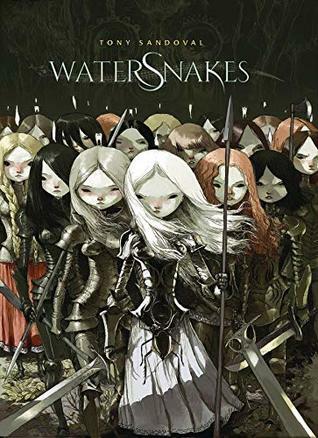 If you like dark fantasy where fairy tale nightmares bleed into real life, this is a cool book to read and I'd like to see more from this creator. 4.7 out of 5.